Modern art has a new medium with this Artisan Shell Jewelry Set. 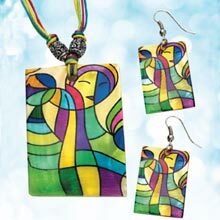 Sassy, abstract design is printed on natural capiz shell. 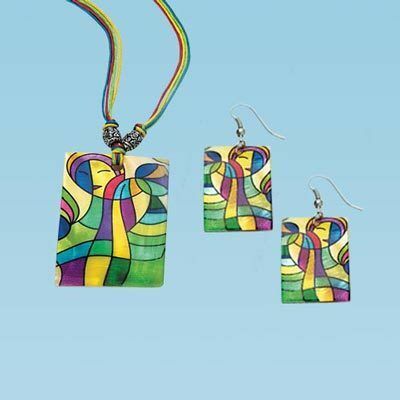 Fun-to-wear pendant swings from colorful cords with silver-tone bead accents. Necklace, 16"l chain with 2½"l pendant; Earrings, French wires, 2"l.